Judy Sussman was born on February 12, 1938, in Elizabeth, New Jersey. She was closer to her father, Ralph Sussman, a dentist, than to her mother, Esther (Rosenfeld) Sussman, a shy homemaker who passed on her love of reading to her daughter. Judy loved going to the library to read adult novels as well as children's books. She was coeditor of her high school newspaper and went on to attend New York University (NYU), where she met John Blume, an attorney. They were married in 1959. After earning her degree in education in 1960, she gave birth to a daughter in 1961 and a son in 1963. While a homemaker, Judy Blume realized that she needed an outlet for her creative energy and decided that she wanted to write. She composed several children's novels and took writing courses at NYU. Her husband was not encouraging. He told her that he thought it was great that she was writing if it meant she would not shop as much. Her confidence grew, though, as she began to sell a few stories to magazines and even had one of her children's books accepted for publication. Margaret, in 1970 brought huge success to Blume. The novel describes eleven-year-old Margaret's worries and fears about starting her period and choosing her own religion. At the time of its publication, Blume was praised for her warm and funny descriptions of childhood feelings and conversation. She was also criticized, however, for the book's references to the human body and its processes. There were many attempts in different cities to have the book removed from library shelves. This book is now considered a groundbreaking work due to the honesty with which Blume presents previously taboo (not talked about) subjects. Blume went on to write other successful books for different age groups. Tales of a Fourth-Grade Nothing (1972) and Superfudge (1980), two entertaining tales about ten-year-old Peter and his uncontrollable baby brother, Fudge, were especially popular with readers. Blume also caused another controversy (dispute) with the release of Forever (1975), in which she relates the details of her eighteen-year-old heroine's first sexual experience. Despite the fact that it was published as an adult book, protesters pointed out that Blume's popularity with readers and uncomplicated writing style attracted a preteen audience that could be influenced by the details of the novel. In Tiger Eyes (1981), Blume relates the story of how fifteen-yearold Davey adjusts to her father's murder. Hailed by many critics as Blume's finest work for her successful handling of a complicated plot, Tiger Eyes includes such issues as alcoholism, suicide, and violence. Reviewers commended Blume for her honesty, warmth, and wit, praising her keen observation of childhood and strong appeal to children. Her books for younger children, such as Tales of a Fourth Grade Nothing, Blubber, and Otherwise Known as Sheila the Great, deal with problems such as getting along with one's brothers and sisters, establishing self-confidence, and having no friends. Books for young adults, such as Are You There, God? It's Me, Margaret, Deenie, and Just As Long as We're Together, consider matters of divorce, friendship, family breakups, and sexual development. Blume's discussion of sexuality reflects her ability to target the issues that most interest young people. She explained to John Neary of People, "I think I write about sexuality because it was uppermost in my mind when I was a kid: the need to know, and not knowing how to find out. My father delivered these little lectures to me, the last one when I was 10, on how babies are made. But questions about what I was feeling, and how my body could feel, I never asked my parents." Although Blume's work is consistently popular with readers, it has often been the target of criticism. Some have charged that her readable style, with its focus on small detail, lacks the depth to deal with the complicated issues that she raises. Other reviewers point out that the problems of her characters are often left unresolved by the end of the book. Many critics, however, think it is to Blume's credit that she does not settle every problem for her readers. As a result of Blume's popularity, she began to receive hundreds of fan letters every week, some of them asking her advice on different issues. In 1986 she collected a number of these letters from her readers and published them, along with her own comments, as Letters to Judy: What Your Kids Wish They Could Tell You. The resulting book was meant for both children and adults to help them better communicate with each other. Blume feels so strongly about the lack of communication between children and their parents that she used the profits from sales of Letters to Judy, among other projects, to help finance the KIDS Fund, which she established in 1981. Each year the fund contributes approximately $45,000 to various nonprofit organizations set up to help young people communicate with their parents. Over the years Blume's writing has matured and her audience has expanded with each new book. While she wrote for younger children at first, as her audience aged she began writing for teenagers and later for adults. Her first adult novel, Wifey, deals with a woman's search for more out of life and marriage. Smart Women finds a divorced woman trying to deal with single motherhood and new relationships. Summer Sisters examines the relationship between two adult women whose friendship has grown apart since the teenage years of their lives. Blume enjoys writing for all audiences: "I wish that older readers would read my books about young people, and I hope that younger readers will grow up to read what I have to say about adult life. I'd like to feel that I write for everybody." As a result of the controversy surrounding some of her books, Blume also increased her activities opposing censorship (the act of examining materials such as books or films and removing anything considered objectionable or obscene) and supporting intellectual freedom. In 1999 she edited Places I Never Meant to Be, a collection of stories written by people whose work was the target of censorship efforts. Having divorced her first husband, Blume lives in Key West, Florida, with her second husband, George Cooper, also a writer. They were married in 1987. Judy Blume continues to write for children and adults. She is also involved in a new project adopting her earlier children's novels into home videos. Lee, Betsy. Judy Blume's Story. Minneapolis: Dillon Press, 1981. Nault, Jennifer. 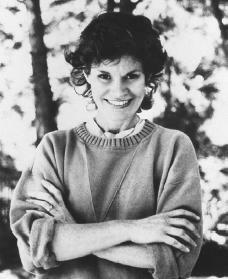 Judy Blume. Mankato, MN: Weigl Publishers, 2002. Weidt, Maryann N. Presenting Judy Blume. Boston: Twayne Publishers, 1990.
ummm she had 3 husbands!On August 15, 1959, she married John Blume, whom she had met while a student at New York University; the wedding was held in the summer of her sophomore year of college. He later worked as a lawyer, while she briefly supported her family as a homemaker before pursuing teaching and writing. The Blumes had two children: Randy Lee, an airline pilot (born 1961), and Lawrence Andrew, a filmmaker (born 1963). The couple separated in 1975 and were legally divorced by 1976. Blume would later describe the marriage as "suffocating". Shortly after her separation, a mutual friend introduced Blume to Thomas A. Kitchens, a physicist. The couple married in 1976, and Kitchens moved them to New Mexico for his work. They divorced in 1978. She later spoke up about their split: "It was a disaster, a total disaster. After a couple years, I got out. I cried every day. Anyone who thinks my life is cupcakes is all wrong." She met George Cooper, an author of mystery novels, at a tea room in Vancouver. Blume and Cooper were married in 1987. Cooper has an only child from a previous marriage, a daughter named Amanda. They currently reside in New York City.